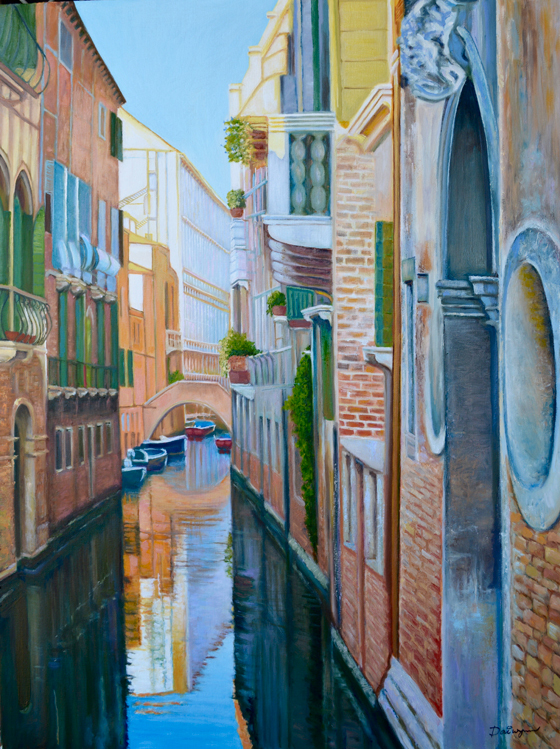 A typical canal in Venezia (the main island of Venice, Italy) as painted by Dai Wynn in oils on stretched canvas. 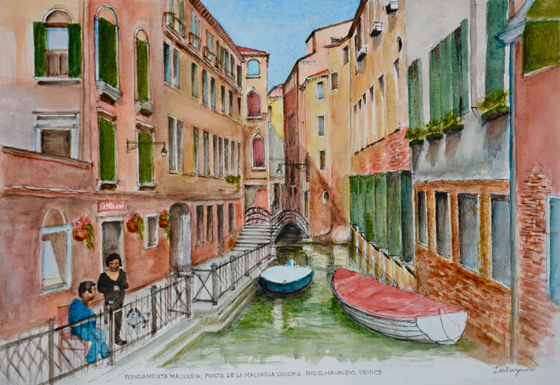 Like a good red wine or a sharp cheese, this artwork has a bit of age to it, and has now found a new home in which to be enjoyed by discerning collectors of fine art. 101.6 cm high by 76.2 cm wide by 5 cm deep approximately.